The closer we get to free agency, the more suitors Chandler Parsons seems to have. The Dallas Mavericks would love to re-sign him, but the Memphis Grizzlies and Los Angeles Lakers would like to sign him too. 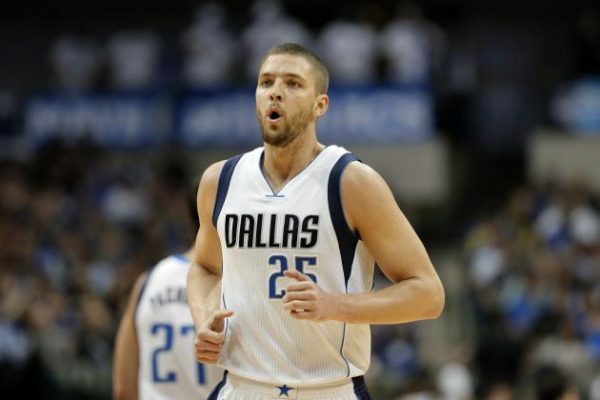 Parsons, after two seasons in Dallas, opted out, looking for a max contract. The Mavs, paying him $15.3 million in 2015-2016, with next season’s salary about to be $16 million, aren’t keen on giving him the max he’s looking for, especially on a five year deal. Parsons missed 37 games in these two seasons, averaging 14.8 points and 4.8 rebounds, not exactly the kind of numbers you associate with $20 million or more per season, even if the salary cap is rising like a coke bottle with mentos. His defense isn’t special, to say the least, so why should anyone pay him the max? The Grizzlies link is interesting. Not because it’s a surprise the Grizzlies are looking into him; Parsons is a good shooter, talented scorer and can create for others as well, shedding some load off of point guards. The Grizzlies are trying to keep Mike Conley, who is also one of the top targets for the Mavericks, who are in a pretty bad point guard situation. The Grizzlies firmly believe they can keep Conley (another player who might be asking for more than his market value), and take Parsons away from the Mavericks. Dallas signed Parsons to an offer sheet two years ago, and the Rockets didn’t match. The Lakers are looking for anything. Their main free agency target is Hassan Whiteside, but they have so much cap space, and so much need for any kind of talent, it won’t be surprising to see them overpay for Parsons if he’s interested going there. Max contract or not, Parsons has plenty of options this summer (Orlando Magic probably too). The only question is will he get someone to overpay for him. We’ll know pretty soon how desperate some teams really are.